Created by the ceramist Anita Le Grelle, who was born and raised in Antwerp, these gorgeous glazed plant pots show how a functional item can also be a thing of beauty. These green-glazed plant pots definitely fit the William Morris philosophy of being both useful and beautiful. 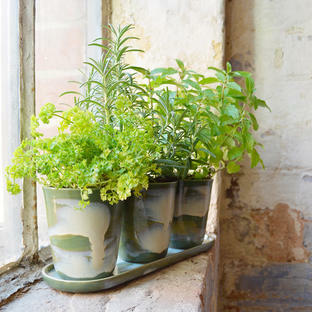 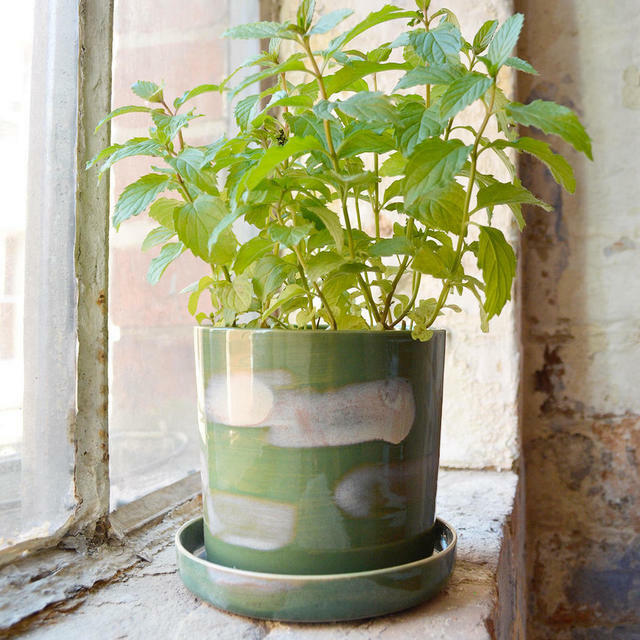 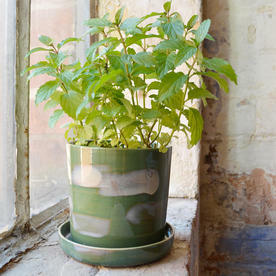 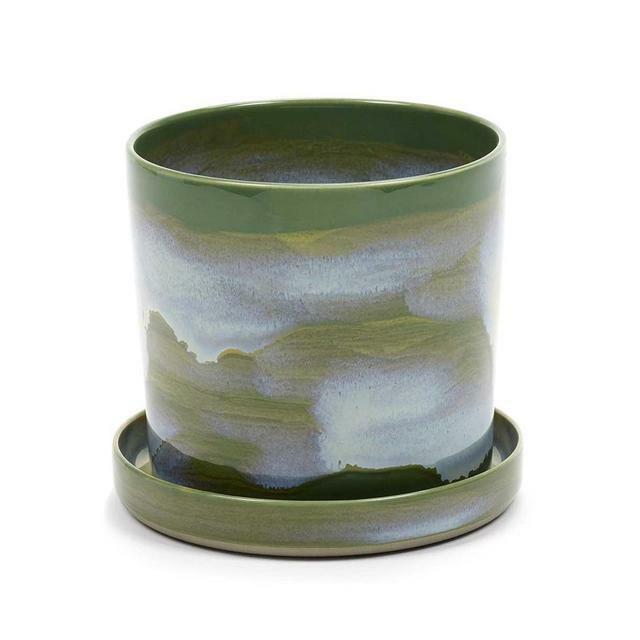 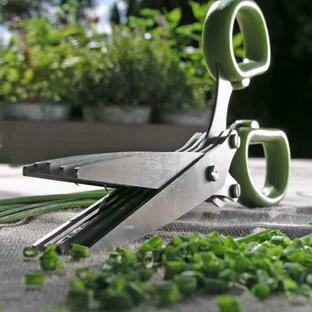 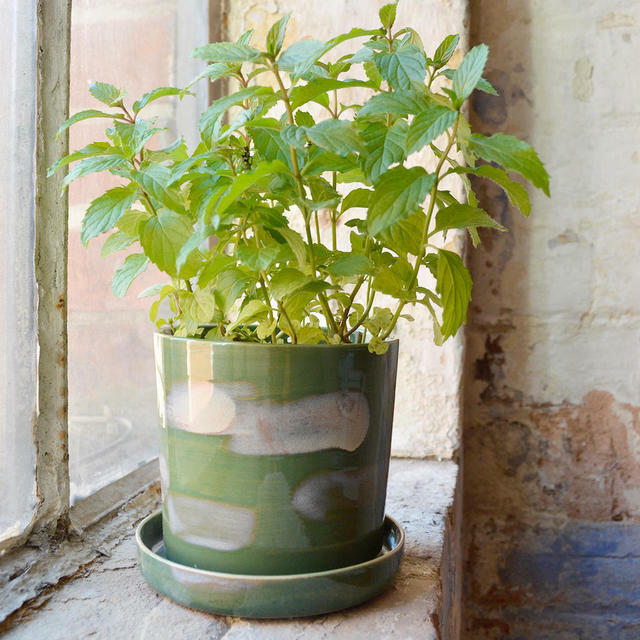 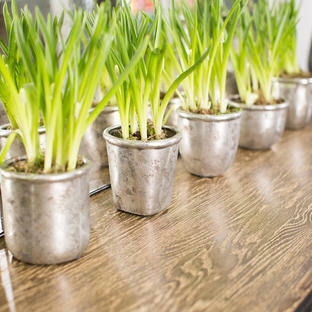 Perfect to hold a fragrant herb or a favourite houseplant. 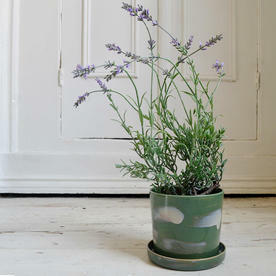 The pot is complete with its own saucer. Ceramic green glazed pot with saucer. 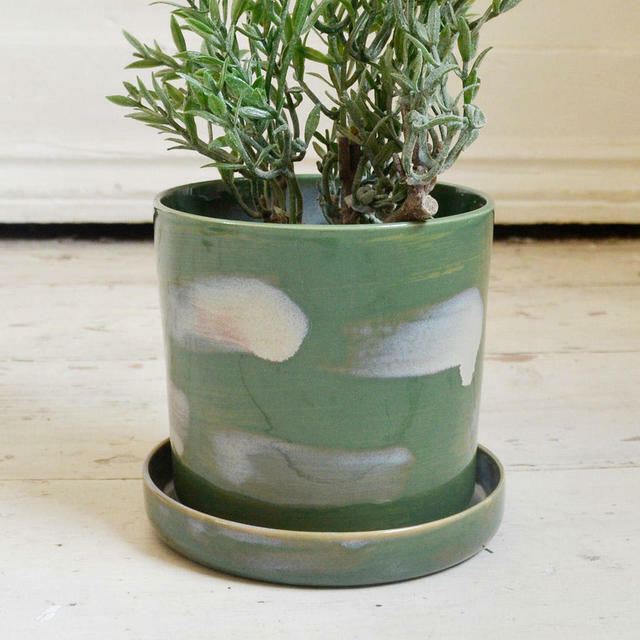 3 drainage holes at the bottom of the pot.